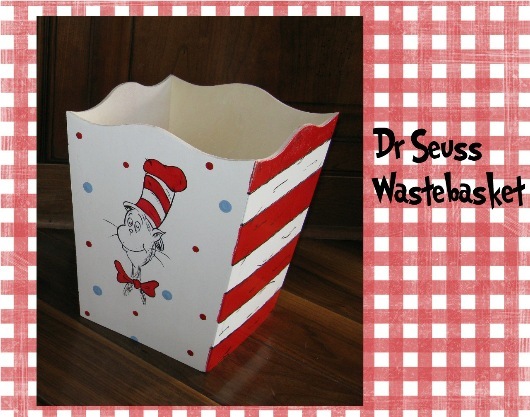 This darling wastebasket will coordinate perfectly with your Dr. Seuss room decor. What a great way to really personalize a room with a one of a kind item! Personalize your wastebasket and add a name to this item for $5 more. Check out my other matching accessories for the Dr. Seuss collection!